Get ready to spoil yourself!. The Riviera lifestyle offers 24hr security, resort style amenities, gardens and more. 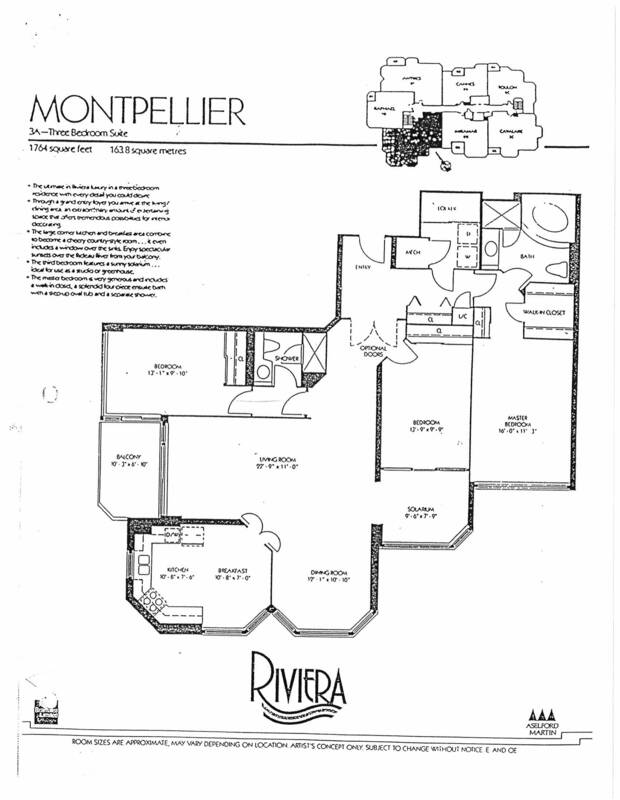 This bright and beautiful 3 bedroom, 2 full bath Montpellier model offers almost 1764 sqft of luxury living. The generous foyer allows guests to get a peek at the spacious open living and dining room that is perfect for entertaining. The renovated kitchen offers an abundance of cabinetry and countertop work area as well as a sunny spot for casual meals. The master bedroom is nicely situated away from the living area, and offers a sumptious ensuite bath. The 2nd bedroom is currently being used as a den, and flows to the tiled solarium which is another lovely area to relax and enjoy the view. The generous 3rd bedroom offers access to the balcony. A 2nd full bath serves as a guest bath. 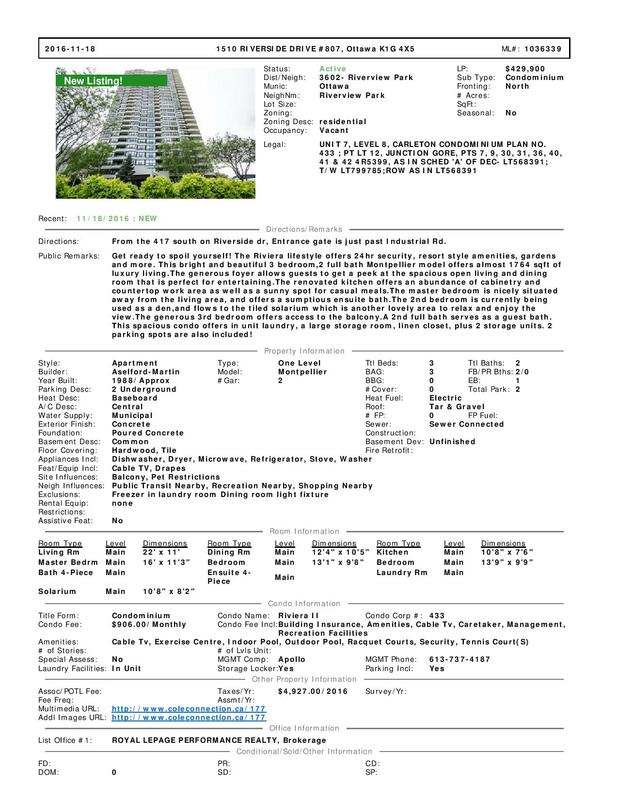 This spacious condo offers in unit laundry, a large storage room, linen closet, plus 2 storage units. 2 parking spots are also included! Outstanding resort style amenities, enjoy the beautiful gardens, take advantage of the BBQ area, or treat yourself to the comprehensive amenities available to Riviera II residents.